There are many types of yerba mate tea, just like wine, tea, and olives. Yerba mate is grown in Argentina, Paraguay, and Uruguay, and each country has their own styles of yerba mate. 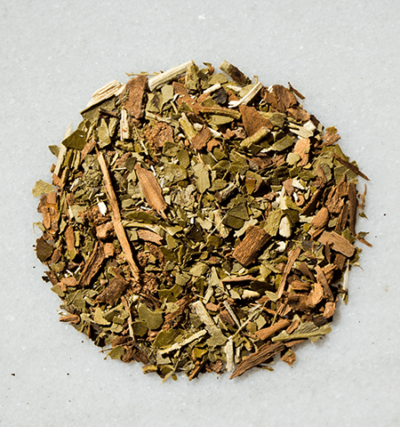 Argentine yerba mate is herbaceous and bold; Uruguayan yerba mate is malty; Paraguayan yerba mate has explosive and intense flavors of cherries and tobaccoo. “It’s the next big thing!” we’ve heard for years. For half a decade I’ve been part preacher and part entrepreneur, extolling its magical benefits. Through our online store, we’ve sold thousands of pounds. People from 20 some odd countries have shared their excitement for this obscure South American treasure. But the fact of the matter is, yerba mate is still fantastically unknown around the globe. The media doesn’t care too much about it. Amazon.com has maybe three real books on the topic, one of which I wrote a few years back. And even the health conscious, superfood guzzling, eagle-posing hippy still can’t see its power through their highly acclaimed and decalcified third eye. And you know what? I’m fine with that. I like that this relatively obscure holly tree is only known and appreciated by a select few. The mysterious powers of this herb, with the ability to induce mental clarity and facilitate friendship amongst family and strangers alike, only lends more gravitas to yerba mate’s notoriety and humble esteem. The problem is, nobody, heretofore, has learned anything substantial about mate. Simply, there has been a gross dearth of information on mate, let alone any commentary on quality, flavor profiles, and cuts. What the Guaraní Tribe of Paraná started centuries ago, long revering this simple but unusually potent herb, has apparently been lost in history, save for a few pockets here and there outside South America. Last month, while being interviewed by a popular tea and coffee magazine, Fresh Cup, I wasn’t surprised to learn that they’ve never published an exposé on yerba mate. Now if you juxtapose the mate-craved South America—particularly Argentina, Uruguay, and Brazil—with the rest of the world, mate virtually doesn’t exist outside the Southern Cone, where millions of people claim it as a National Treasure (literally!). It’s the coffee of the region. An estimated 85–90% of the population enjoy their daily mate ritual. Today, I’d like to help shine some light on the different types of yerba mate tea, establishing a starting point for those of you curious enough to explore mate further. I’ll share three regional options of mate, discussing a few key characteristics of each variety. Refer the the video at the end of this article for additional information and images of each type. Concentrated in the Misiones Region of Northern Argentina, these mates provide the crisp, boldly herbaceous, and earthiness you’d expect from Classical Argentine mate. For new drinkers, I advise starting with this variety as it’s similar to a strong green tea. Grown in the dynamic rich soil in places like Bella Vista and San Rafael, these mates never bore the palate. Complex floral notes converge with rich vanilla, cherry, and mild smoky tones. Great if you appreciate strong wines such as Malbecs and rich merlots. Gaucho varieties are undoubtedly the espresso of mate. Grown in the Southern States of Brazil, these mates provide malty, bold, muscular flavors. Dark beer and strong coffee lovers will best appreciate these full body mates. If you now have a basic template to begin exploring the unbeaten path of yerba mate, then I’ve done my job today. The idea is to have fun and try many brands and blends of mate, slowly appreciating the subtleties of each variety while enriching your palate. Here’s a yerba mate tasting guide to help inspire your taste buds the next time you find yourself sipping some mate.